Welcome to the Gas Diving UK web page. GAS Diving UK is a team of mixed gas diving, some of whom who used to teach, some who still do. If you are already a Nitrox diver or are interested in advancing your diving down this route, you have come to the right place . The collection of information on this web site as well as the experience within the GAS Diving UK team is now at your finger tips. 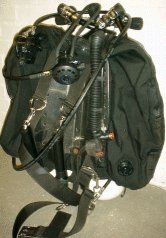 The authors of this web site would like to remind you that no Scuba diving should be undertaken without proper instruction and the information contained within this site is not intended to allow anyone to short cut instruction or to dive outside of their skills / ability and equipment capabilities. The authors of this web site will not be held accountable for any injury caused by the use of information taken from this web site or from any other website linked from it. If you cannot accept this responsibility please leave this site now and take up golf ..
GAS DIVING UK gives you access to..